Professor Rodriguez-Mañas is Head of the Department of Geriatrics at Hospital Universitario de Getafe (Madrid), Professor of Geriatrics at the Universidad Europea de Madrid, Scientific Director of the Spanish Center for Biomedical Research on Frailty and Healthy Aging (CIBERFES) (Ministry of Economy and Competitiveness), and Co-director of the Toledo Study on Healthy Ageing. 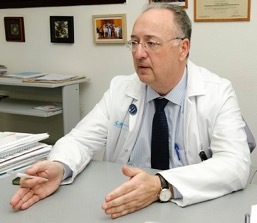 He is Principal Investigator in more than 40 externally, peer-reviewed funded projects research including 5 EU-funded projects focused on frailty and the Joint Action ADVANTAGE, funded by DGSANTE, with the aim of building a European roadmap to face the clinical, organisational and public health challenge of frailty. Professor Rodriguez-Mañas has published more than 200 original manuscripts, books and book chapters and has participated in performing Technical Reports on ageing, frailty and diabetes in older people for both national and international organisms.